37MILLION HOUSEHOLDS REACHED BY BLACKARROW'S ADVERTISING SOLUTIONS. 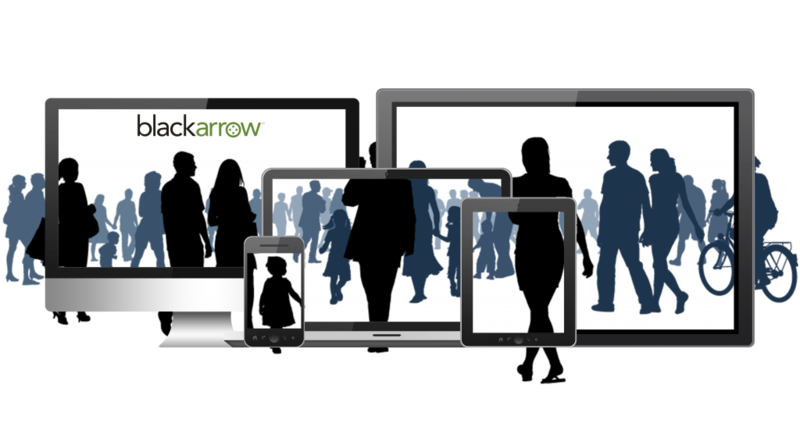 3PILLAR & BLACKARROW CONTINUE TO WORK TOGETHER TO CHANGE THE WAY TARGETED ADVERTISING TOUCHES THE WORLD’S AUDIENCES. BlackArrow is a cross-platform advertising and data solutions provider that is changing the way targeted ads reach video viewers throughout the world. The company first came to 3Pillar seeking an experienced team capable of helping them build an advanced analytics platform for collecting and managing audience data. Before working with 3Pillar, BlackArrow had struggled to find an engineering partner capable of bringing their visions to life. Our technology expertise and consultative approach allows us to work side-by-side with BlackArrow, helping making informed product decisions that deliver results for BlackArrow and their partners. Over the course of our partnership, 3Pillar has been instrumental in developing products that have helped BlackArrow expand its client base and grow its revenue. Throughout our relationship, 3Pillar’s development teams have helped ensure that vital requirements for some of BlackArrow’s most important clients – typically major media companies – are met. Whether viewers are consuming ads in real-time or time-shifted, on the television or IP enabled devices, BlackArrow aims to arm content providers with unique insights into their audiences and the ability to serve targeted ads based on a number of variables. One of our many successes together is BlackArrow Audience, a Subscriber Information System that the 3Pillar team helped rapidly drive from concept to marketplace. BlackArrow Audience allows cable companies and content providers to more effectively target ads to consumers based on geographic, demographic, household, and device-related data, all of which is passed through within 20 milliseconds of a request. 3Pillar has served as BlackArrow’s product development partner for more than four years, helping the company bring advanced advertising solutions to more than 37 million households the world over. Our relationship continues to flourish as we help advance the entire BlackArrow portfolio.